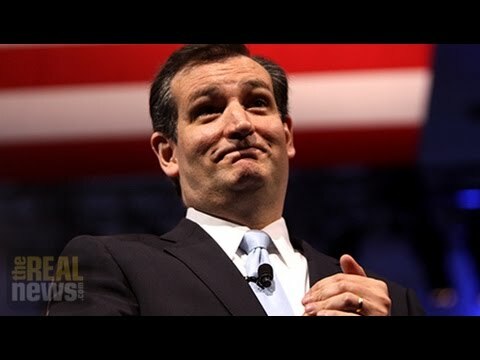 Republican Senator Ted Cruz is the first off the block announcing his candidacy for presidential elections in 2016. He’s relatively a newcomer in Washington. He’s a junior United States Senator from Texas. He’s the first Cuban-American to serve as U.S. Senator from Texas. 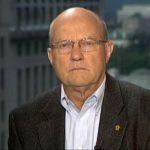 To discuss the significance of this announcement, we are joined by Larry Wilkerson. Larry is the former chief of staff for U.S. Secretary of State Colin Powell, currently an adjunct professor of government at the college of William & Mary. He’s also a regular contributor to The Real News Network. Larry, thank you so much for joining us. PERIES: So Larry, tell us the significance of this announcement, and who is Mr.–Senator Cruz, I should say, and who’s the real Cruz here? WILKERSON: My tendency, Sharmini, is to say we always have kooks in our elections system, especially for the White House. And Texas produces its own share–perhaps many would say inordinate share–of kooks. But I’ll refrain from such flippant remarks and say that Ted Cruz is a product of what Eric Cantor described as today’s methodologies for entering the Congress. One, you use the traditional approach, and that is you come in and you rise slowly through the ranks. You watch yourself carefully, you don’t do anything untoward, you don’t rock the boat, you don’t disturb the water. And maybe in sixteen or seventeen years if you continue to be elected, you have a substantial chairmanship, or you’re even in the leadership elsewhere. That’s the traditional approach. The new approach is that you come in and you grab a couple of hot-button issues and you pursue them come hell or high water, regardless of your party’s wishes or its predilections, regardless of what money it will or will not give you. You make a name for yourself with at least a certain part of your base, and you go for the golden ring. I think Ted Cruz personifies that latter methodology, which is becoming, sad to say, increasingly used by people. Tom Cotton comes to mind immediately. And Ted Cruz has established himself almost off the bat in Lynchburg, Virginia at Liberty University as appealing to those forty-eight million-plus Americans who believe the earth is six thousand years old, believe that Adam and Eve cavorted with dinosaurs, and believe that climate change is a hoax. So Ted Cruz has about the chance of a snowball in hell of being elected president of the United States, but he’s making a name for himself. PERIES: So then that begs the question, if he really has no chance of becoming president, and his track record would have you questioning his experience in Washington, since he only got there in 2012. Who is, then, backing his candidacy, and what are they thinking? You know, who’s spending this kind of money on a campaign? WILKERSON: I think what you’ve got going here in a certain respect is what I would call, in two simple words, wealth defense. That is to say, we know that there are four hundred Americans whose combined wealth is equal to the GDP of Brazil. We know that the—not one percent, let’s don’t even talk about the one percent. That the point-zero-zero-one percent of Americans who are the wealthiest more or less dictate policy in this country. And these are the people who use people like Cotton, like Cruz, and others, to more or less camouflage what’s really going on in the country with a significant portion of the population. That population which is ignorant, that population which is basically uneducated, which increasingly is half of America, and that population which is energized over social issues like gays getting married, like abortion, and so forth. So this is a new realm in terms of its comprehensiveness in our political scene, but it’s not something new in and of itself. We’ve had, as I said, people like this ever since the beginning. It’s just that they’ve not had so much money behind them, and so much effort behind them. Sheldon Adelson, the Koch brothers, Singer, and others for example, who are supporting Cruz and Cotton. But they also have this behind them, because they camouflage the real substantive issues, which of course the Congress has no intention whatsoever to ever deal with. Issues like seventeen trillion dollars worth of debt and growing. Issues like interminable war, we’ve been at war for fourteen years. Issues like the all-volunteer force, which is better called the all-recruited force, our armed forces falling apart in front of our eyes. And so on, and so on. They don’t want the American people diverted to these issues because if they were, they might try to do something about them. PERIES: All right. Larry, thank you so much for joining us today and giving us that quick snapshot of who is Senator Cruz.